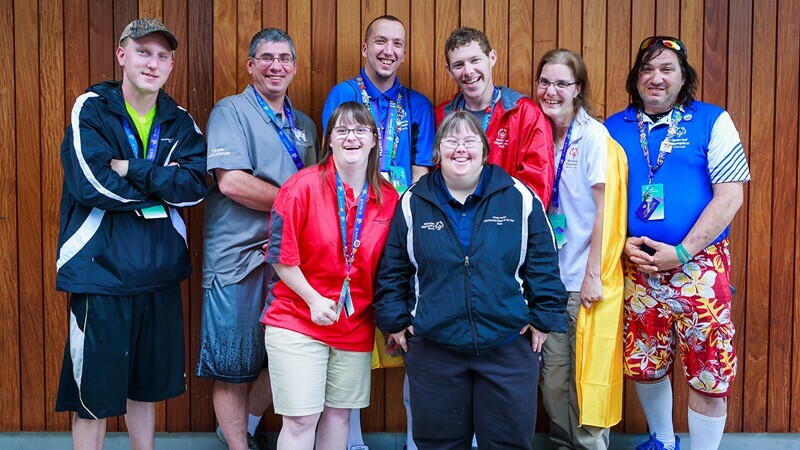 Walmart associates participating in the USA Games gather at a reception hosted by Walmart. 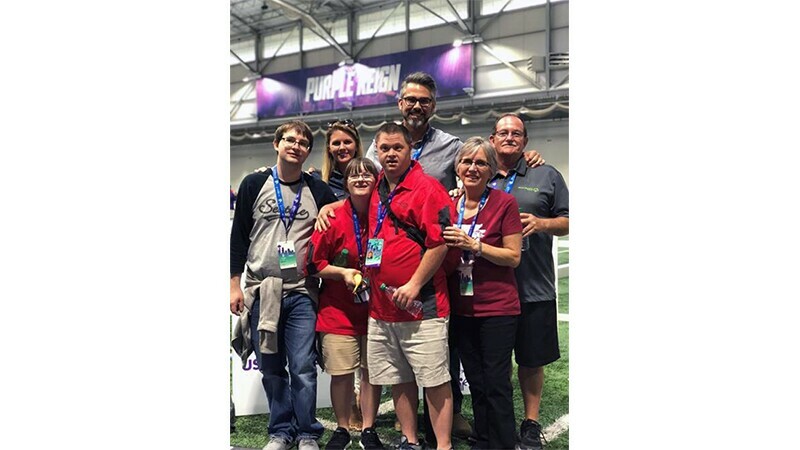 As Special Olympics continues to celebrate National Disability Employment Awareness Month, we’d like to share the Q & A session we had with Walmart about their role in promoting inclusion in the workplace for employees with intellectual disabilities. 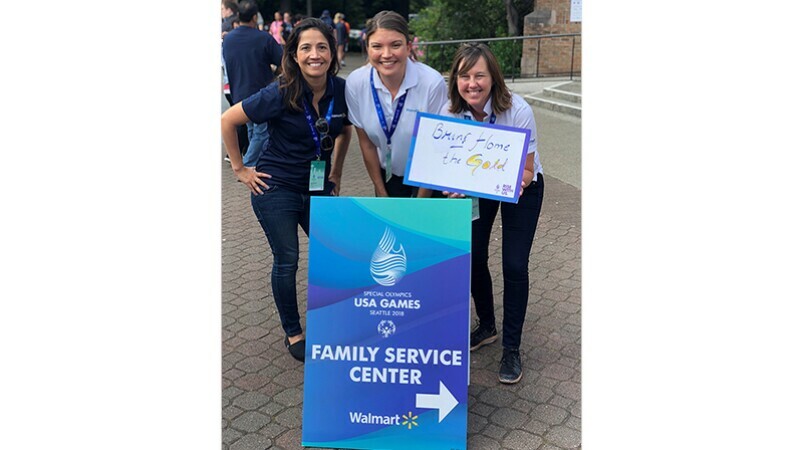 This past summer, Walmart supported our athletes at the USA Games in Seattle, including fourteen Walmart Associates who competed. At Walmart, what types of positions are filled by people with intellectual disabilities? We have associates with intellectual disabilities working across our organization at all levels, including cashiers, bakery team, customer service and inventory replenishment positions in our stores. Programmers and engineers on the autism spectrum work in our IT and e-commerce operations. Walmart associates from the corporate team cheer on the athletes in Seattle. 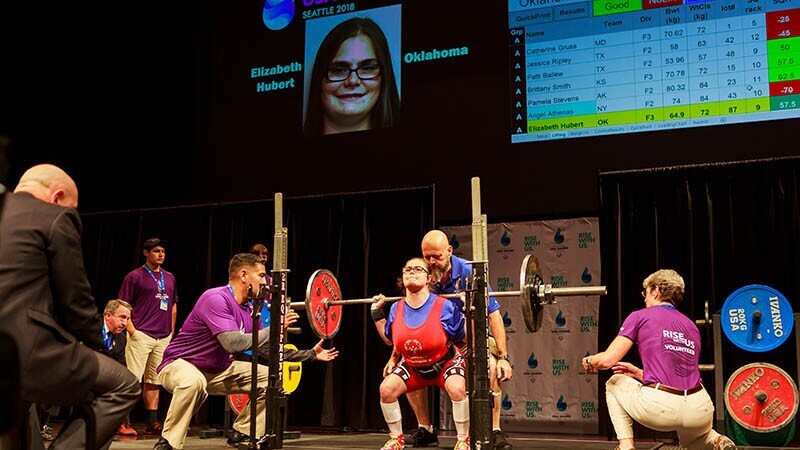 Weight lifter Elizabeth “Liz” Huber, Walmart associate and 2018 Special Olympic USA Games powerlifting athlete. Walmart Associate, Carly Luck from Cabot, AR with her fiancé and family at the bocce competition. What is your company’s vision for an inclusive workplace? At Walmart, we strive to create an atmosphere where associates feel welcome, comfortable and safe to bring their best selves to work. Our vision is “everyone included.” By fostering a workplace culture where everyone is and feels included, everyone wins. Associates are happier, perform at their best and in turn, provide better service to our customers and members by creating a clean, fast and friendly shopping experience. When we get it right, the customers come back. That’s inclusion! What are Walmart’s inclusion plans for the future? We need diverse associates—associates with unique styles, experiences, identities, abilities, ideas and opinions—to help us stay out in front. We have to lead in talent. Throughout our history, it has always been our associates who have been the key to our success, and it will remain that way in the future. And that means we have to strengthen our commitment to diversity and inclusion. Walmart often ranks near the top of diversity and inclusion reports, and generally, we out-pace our industry. However, we are on a journey to improve, and we still have a lot of road ahead of us. We have to chart new territory and challenge ourselves to do better when it comes to championing diversity and inclusion. Click here to watch a video about inclusive work opportunities with Walmart suppliers. 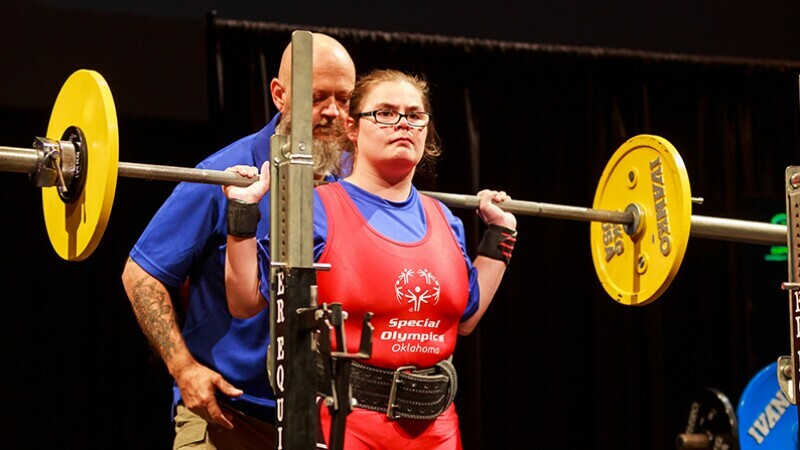 Learn more about Walmart employees who compete as Special Olympics Athletes: Elizabeth “Liz” Huber, Walmart associate and 2018 Special Olympic USA Games powerlifting athlete. Ashely Wilwand, Walmart associate and Canadian rhythmic gymnast.